Beautiful Shops Blog: Oh Baby! It's Summer! 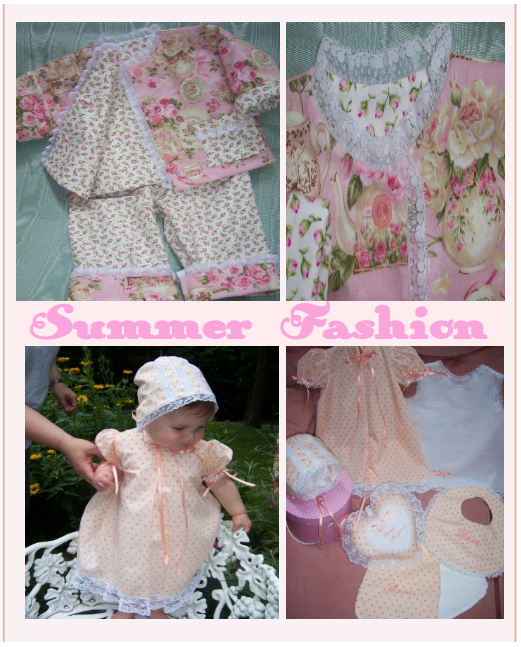 How adorable these custom summer fashions would be on any lucky little one! Hand sewn with love in pretty summer fabrics. I can imagine a summer dress for Mommy matching this sweet little rosey pants set! Simply baby sweet and adorable! Adorable! Wish I had a little one to clothe!